So, when I read that Flic could help with this, and many other parts of my life, I knew that I wanted to give it a try. 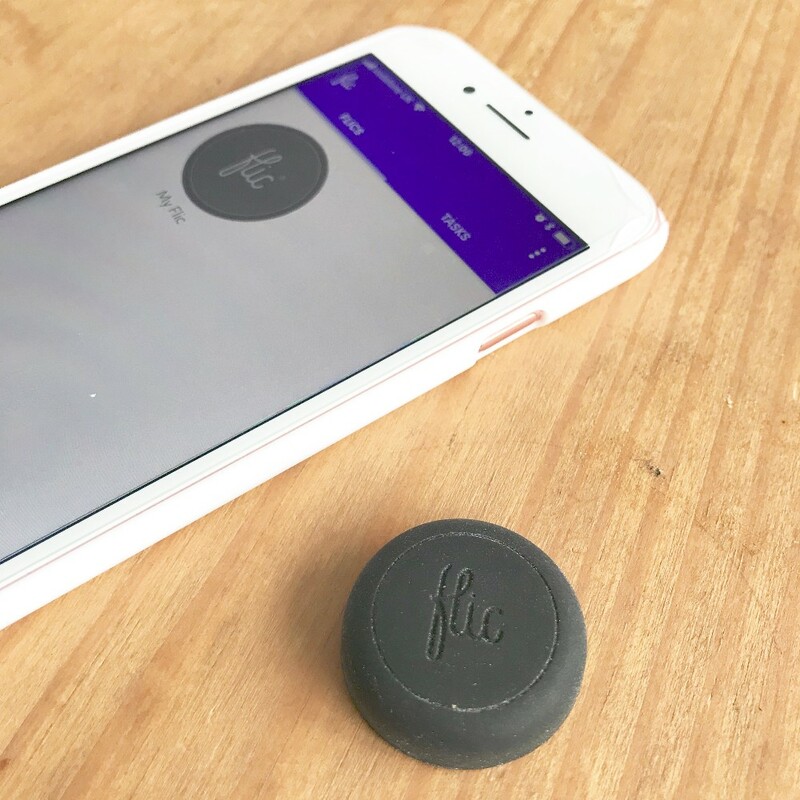 Flic is the world’s first do anything smart button. It is designed to act as a shortcut to many popular apps and functions on a smartphone, including the camera function. Perfect for using in the home, workplace or car, the Flic button bypasses the need for a smarphone to allow anyone (regardless of age of tech know-how) to interact and control the apps they use. 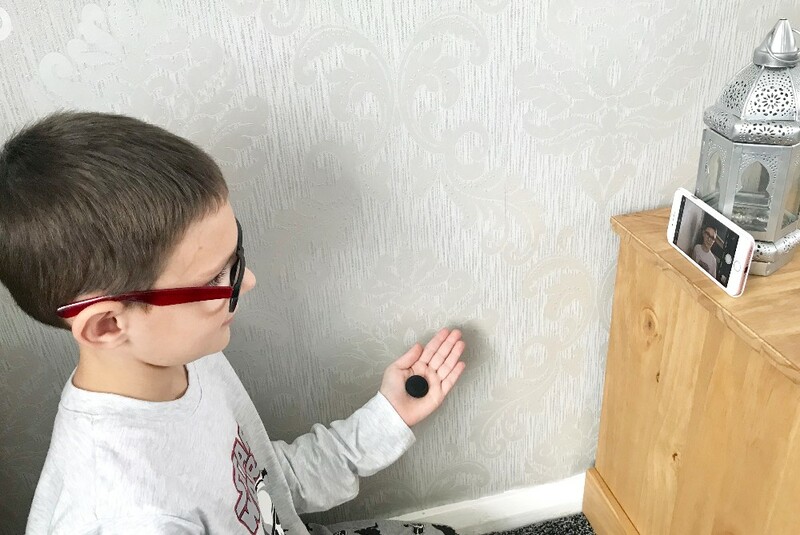 There are many great ways to using the Flic Button to help around the home, and much more, and this video here shows a few of them. It's amazing how to easy it is to integrate smart technology in every room of the house. 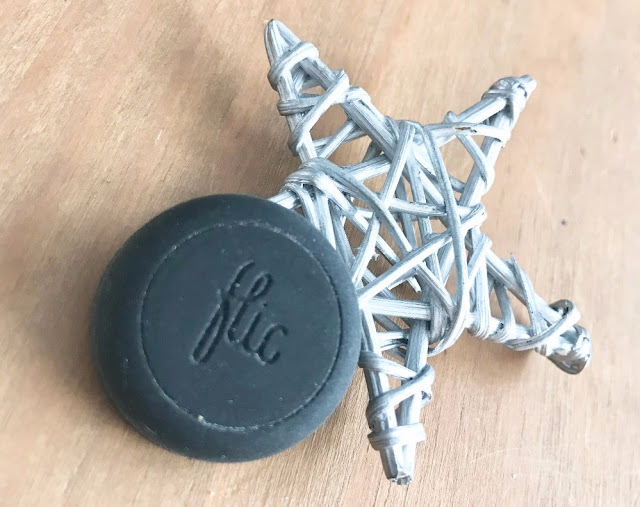 Just get your Flic Button, download the Flic App and connect them together using Bluetooth. You can then set three different functions at any one time (by pressing the Flic once, twice or holding it down), for each Flic Button you own. So, what can you connect to the Flic Button? The camera functions (including Snapchat) so you can use the Flic to take a photo, or video, when you aren't near your phone. Perfect for someone like me who needs to keep stopping and starting my video recordings. You can set it up to be your snooze button so you don't even have to get out of bed to turn your phone off. This is a good one for me as my phone charges at the other end of my room and now it means that I no longer have to jump up and out of bed to turn the alarm off - I can snooze back off to sleep instead! 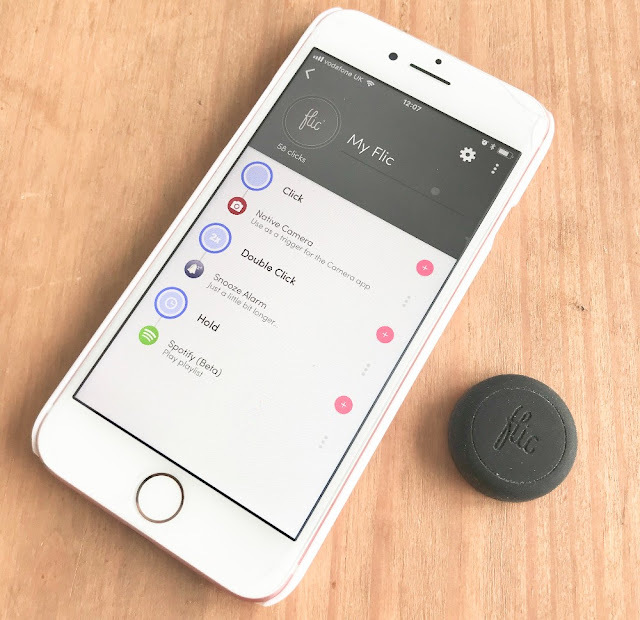 It can connect to Skype and is compatible with Philips Hue and LIFX smartbulbs, pressing the Flic button will ensure that anyone in the house is able to dim the lights whilst snuggling down to a movie. So easy, even a child can use it! Spotify is one of my favourites as you can set the Flic to start playing a certain playlist without having to search for it on your phone. You can also use the Flic to start, stop or fast forward tracks. You can even order food through certain apps. Just download the Dominos app and simply stick the Flic button on the fridge and when hunger strikes, just press Flic once and a Pepperoni pizza will automatically be ordered and delivered without hungry homeowners having to do anything else but sit back and wait for the delivery man. (you can obviously change to your pizza preferences too). Would be useful in our house! Wow, these sounds like it would be very handy to have, thanks for the review. Never heard of this before, but it looks great! I'd never heard of this before - sounds wonderful. I do worry about Smart gadgets etc. being hacked and going an "in" to the home network. This is amazing! I'm not sure my tiny technophobe brain understands it entirely, but it's amazing all the same!! That does sound incredibly useful, and isn't something I'd heard about before; great article, thank you! This has never crossed my radar! It looks very useful. I'll have to keep an eye out and investigate further! Never heard of it so thanks for the intro. Genius.